Hoima Catholic Diocese was created on 9th August 1965 from areas formerly under the then Diocese of Fort Portal and Lubaga Archdiocese. The first Bishop was Rt. Rev. 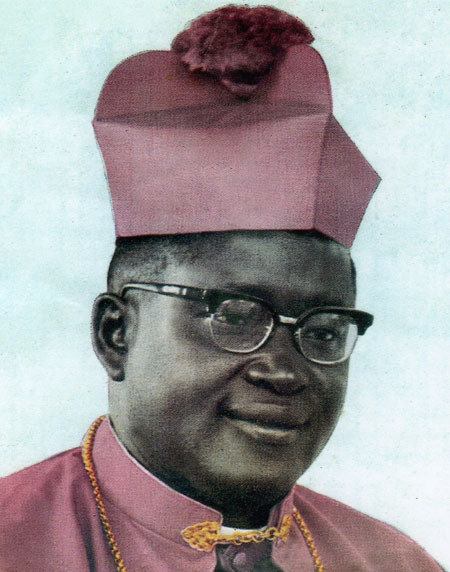 Cipriano Dr. Kihangire who later became the first African Bishop of Gulu and died on 1 November 1990. Bishop Cipriano Biyehima Kihangire was born at Hoima on 19th Mar 1918, was ordained a priest on 17th February 1951 and a bishop on 24th March 1963. He was appointed the founding bishop of Hoima Diocese on 9thAugust 1965 and served until 19th of December 1968 when he was appointed Bishop of Gulu. The Rt. Rev. Albert Edward Dr. Baharagate succeeded Dr. Kihangire on 5 October 1969. He was born at Nyamigisa, Masindi, on 25 February 1930. He was ordained priest at Nyamigisa Parish, Masindi, on 7 December 1958, ordained Bishop, together with 11 others, on 1 August 1969 by Blessed Pope Paul IV at Kololo, Kampala on the Pope’s first visit to Africa. He was installed Bishop of Hoima on 5 October 1969 and retired due to poor health, on 9 March 1991. The third in succession was Rt. Rev. Deogratias Dr. Muganwa Byabazaire. 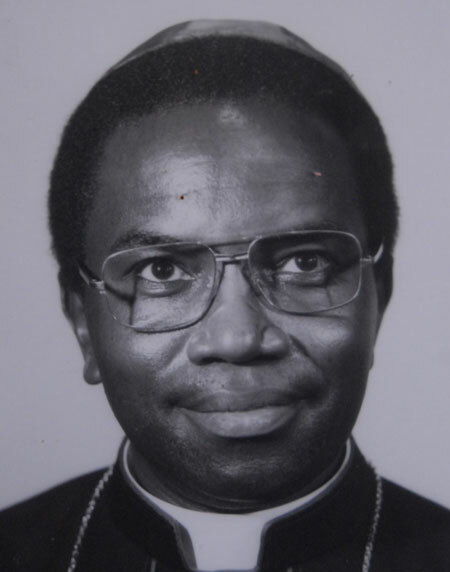 Born at Karujubu, Masindi District, on 9 October 1941, he was ordained Priest at Bujumbura, Hoima, on 9 August 1969, ordained Bishop (Coadjutor) on 18 August 1990 and installed Bishop of Hoima on 9 March 1991. Bishop Deogratias Muganwa Byabazaire died on the morning of 8 February 2014.